The Shamrock Bowl Conference North and South both have champions now but there is still a lot to play for in the top Irish division. Meanwhile in the IAFL-1 the season is shaping up to be an absolute stormer. A big game that has been brewing into a rivalry for the past few years in the DV8s looms this weekend. 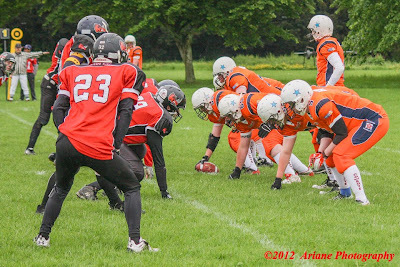 This will be the first time the solid defence of the West Dublin Rhinos and the dynamic offence of the Belfast Trojans have met this year. The Rhinos had a rough start to the year but picked up with a surprising 7-6 win over the Dublin Rebels. Meanwhile the Trojans are still unbeaten since the playoffs of 2011, having thus far dominated the League. Can the Rhinos stand up to an offence that has five different rushing scorers, four different receivers that have reeled in passes and a quarterback in James McKelvey that has thrown double the amount of touchdowns than the second best in the League? The Knights are looking for a strong end to the season in the fight for second place in the division. The Rebels currently sit two points above them but they do have a game in hand. 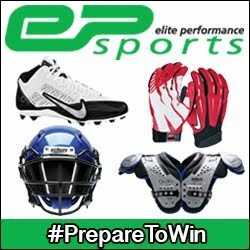 The Cowboys meanwhile have fought valiantly for the entire season but with the amount of rookies they have and the amount of bad injuries to experienced players it is no surprise that they currently sit bottom of the division. This is their last game of the year and they will want to go out with a win though, and the potential to leapfrog the Rhinos is always something to aim for. The Knights and Cowboys have both scored an average of 8 points per game but Craigavon have conceded more than double per game on average. However with their number one quarterback playing on defence because of broken fingers suffered at the Trojans and having played three rookie quarterbacks this year the team was always facing an uphill battle this season. They’re an incredibly resilient team the Cowboys and the fact that they’ve played their entire season and some of their guys have played iron man football should be commended. It’s been a while since we’ve seen the Lightning in action as they last took the field in a 6-0 loss against the Waterford Wolves so they’ll no doubt have been drilled hard in training by Coach Russell Kerley. The Bulldogs meanwhile will be flying high after their impressive 19-6 victory over the experienced Tullamore Phoenix. The Meath sibling partnership of quarterback Eddie and running back Pete McMahon could be one to watch this year, as they both picked up a score apiece last time out. However the real match up to watch in this game could be the head coaches. Coach Kerley of the Lightning is a long student of the game, having played for the London Olympians a few years back, whilst Coach Drake Garland is equally able as a coach. It’s the first time these two have met in 11-a-side format but they met four times in competitive DV8 games, when Meath were known as the Trim Bulldogs, and Drogheda won all four. Meath have vastly improved on last year though and this game should be a battle!